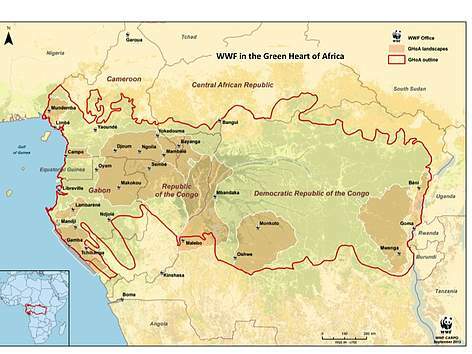 WWF’s Green Heart of Africa (GHoA) global conservation programme for the Congo Basin focuses its resources on the five countries of the Central African region that hold the most important dense humid forest areas and most significant populations of iconic wildlife species: these are Cameroon, Central African Republic (CAR), Republic of Congo, Democratic Republic of Congo (DRC) and Gabon. 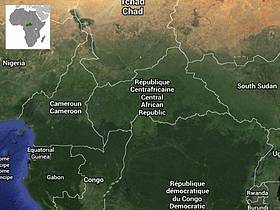 With a very strong presence in 28 field bases and offices across the region, We work in the field through involvement in five national programmes. 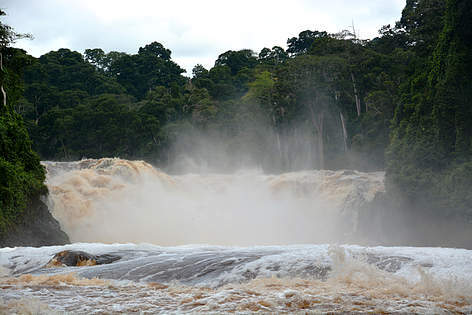 The landscape known as the "Dzanga-Sangha Protected Areas" (south-western region of CAR) is the biggest intact forest remaining in the country. 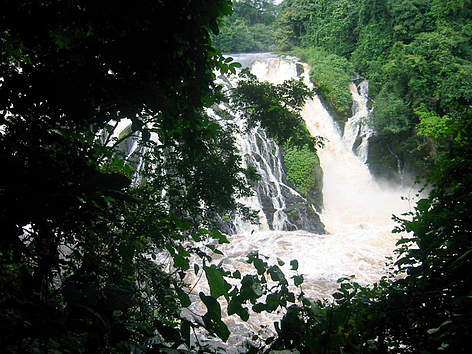 WWF operates in this unique natural haven to help protect its impressive biodiversity. 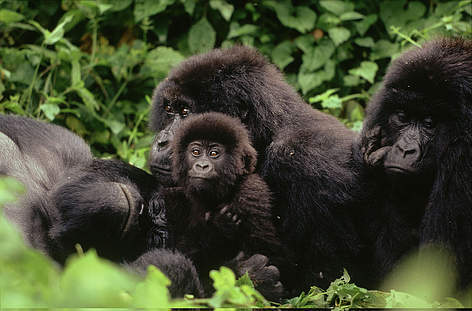 Gorilla gorilla beringei Mountain gorilla Family interaction during midday rest Virunga National Park, Democratic Republic of Congo. 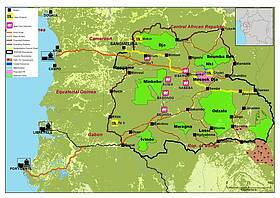 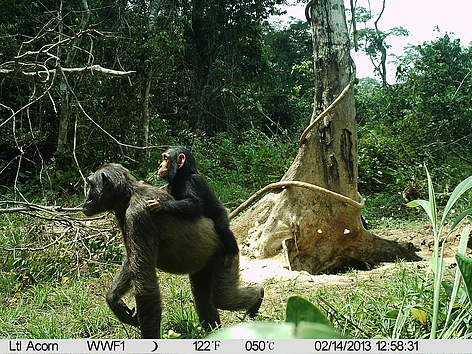 Gabon is essential to WWF’s Green Heart of Africa (GHoA) initiative. 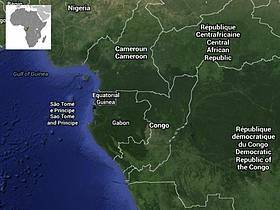 The country extends along the Atlantic Ocean line and is 80% covered by forests. 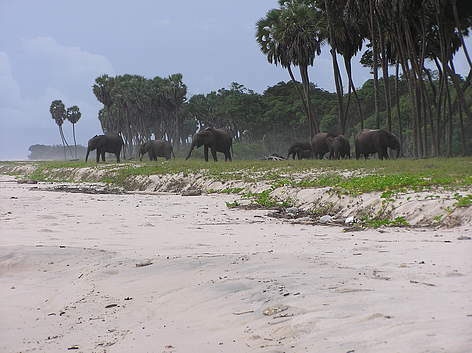 13 national parks protect a spectacular array of tropical wildlife and some of the most majestic scenery in the world. 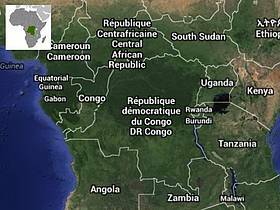 Low population density (in particular in northern Congo) and low road density has helped the conservation of rich rainforest wildlife. 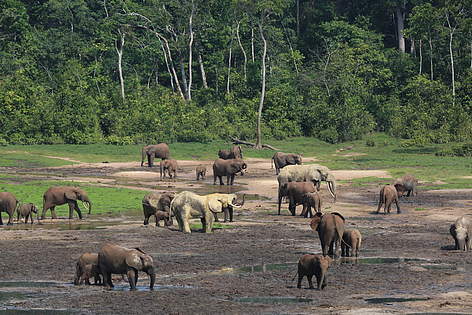 The thinly inhabited rainforest of northern Congo, spread over 160,000 km², is a priority place for the long term conservation of large mammals in the Congo Basin. 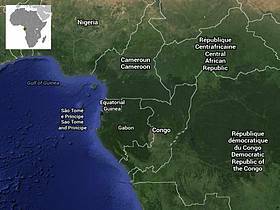 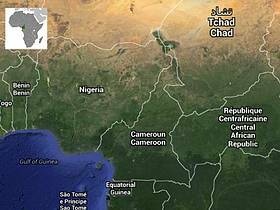 Spread over three countries - Cameroon, the Republic of Congo and Gabon - the Tri National Dja-Odzala-Minkébé (TRIDOM) transborder forest covers 178,000 km², or 10% of the Congo Basin rainforest.